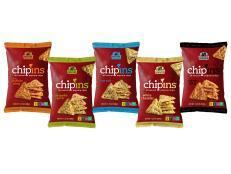 Did you know that popcorn is the only snack that's 100% unprocessed whole grain? 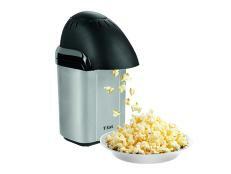 In fact, one serving of popcorn (about 1 cup) provides over 70% of your daily intake for whole grains. That's good news for me because it's one of my favorite foods. 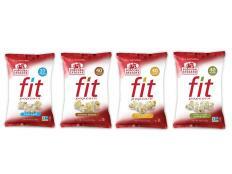 Here's the skinny: Popcorn is minimally processed, loaded with fiber and complex carbohydrates, low in fat and provides a rich source of polyphenols, antioxidants that prevent free radical damage to cells. Polyphenols also help fight a number of chronic diseases. And because popcorn has just 4% water, it provides a more concentrated source of polyphenols than fruits and vegetables (which can be up to 90% water). Yes, fruits and vegetables are rich in polyphenols, but because of their high water content, one serving of popcorn contains more antioxidants than a day's worth of fruits and vegetables. Note: To be fair to the produce aisle, fruits and vegetables also contain vitamins and minerals not found in popcorn. Popcorn also has ferulic acid, a powerful antioxidant and anti-inflammatory that has beneficial effects against cancer, diabetes, cardiovascular disease and neuro-degenerative diseases such as Alzheimer's. So where is all this goodness hiding? It’s all in the crunchy hull, not the white, puffed-up part. 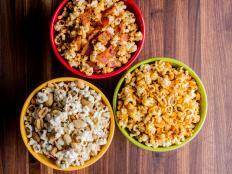 This is great news for popcorn-lovers, but you can throw all health benefits aside if you drench your popcorn in butter and salt. 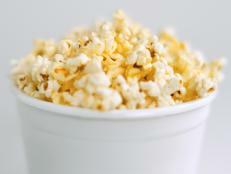 Get this: one cup of plain, air-popped popcorn has just 31 calories but if you order a small, unbuttered popcorn at the movies, prepare to consume over 650 calories (the large has over 1,200 calories). 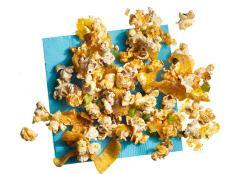 Stick to air-popped or light microwave popcorn. 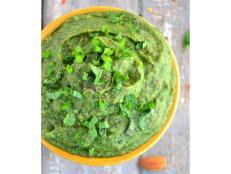 If you want to spice things up, add fresh herbs like dill, rosemary, cilantro and parsley or dried herbs like oregano and thyme. Sometimes I even spray my popcorn with cooking spray and then sprinkle it with salt-free Italian seasoning. 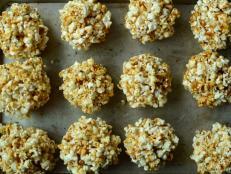 For a sweeter nosh, check out my recipe for caramel-almond popcorn. 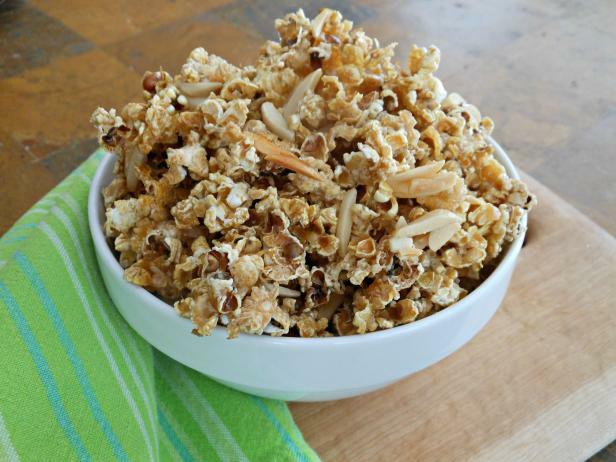 Most caramel corn is loaded with butter but I found a way to create a lightened-up version that will knock your socks off. I swear it tastes like its fattening cousin. Try it and report back please! Place the popcorn and almonds in a large bowl and set aside. 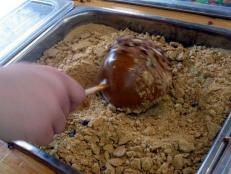 In a small saucepan, combine the brown sugar, water, corn syrup, butter and cream of tartar. Set the pan over medium heat and cook until the butter and sugar melt and the mixture is smooth, stirring frequently. Pour the mixture over the popcorn and almonds and toss gently to combine and coat everything (note: the popcorn will shrink a little and that’s normal). Transfer the popcorn mixture to the prepared pans and spread out in an even layer. 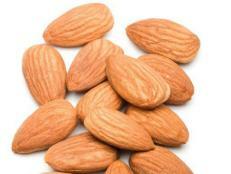 Bake for 15-20 minutes, until the almonds are golden brown and the mixture loses some of its stickiness (slightly sticky is good), stirring halfway through cooking.